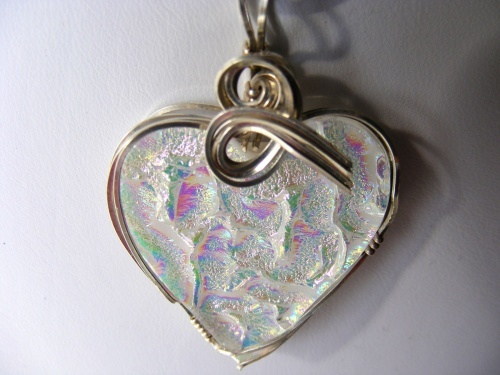 This handmade dichroic heart pendant has a base of white with all kinds of other colors reflecting from it so its sure to pick up the color from whatever you are wearing. Beautiful and makes quite a statement with its sterling silver sculpting. Comes with a sterling silver snake chain.